The buying of votes during the municipal elections, the organized busing of voters from abroad, the corruption in the executive, legislative and judicial branches of government and the inefficiency in fighting it were among the critical remarks to Bulgaria in the Annual Report on Human Rights Practices for 2007, released by the U.S. Department of State. The government generally respected the human rights of its citizens in 2007 but there were problems in several areas, according to the report. Most of them are related to police abuses and corruption in the executive, legislative and judicial branches of government. The law provides criminal penalties for corruption by government officials but the government did not implement the law effectively and officials often engaged in corrupt practices with impunity, the report states. Other violations mentioned in the report include the vote-buying surge during the municipal elections held on October 28. Observers noted that the surge in vote buying was prompted by efforts of business circles and organized crime figures to install local politicians as a way to gain greater access to expected EU funds. Another significant type of violation was the organized busing of voters from abroad, usually referred to as "election day tourism." In addition to the busing of voters from Turkey, observed during previous elections, the October elections attracted "election tourists" from Macedonia. 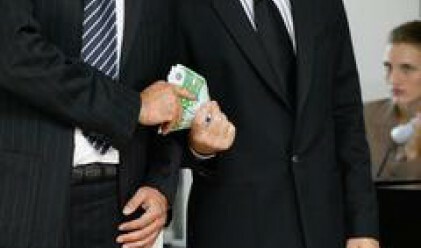 Corruption and organized crime are a problem in Bulgaria. During the year the government undertook measures to fight low-level administrative crime, but did not aggressively prosecute high-profile organized crime or corruption, the report reads. The list of the remaining violations is long and includes limitations on freedom of the press, discrimination against religious minorities, discrimination against persons with disabilities and children trafficking.